I’m sure you have pretty good grasp on the buying cycle of your customers! ?How often to they come into the market for your product or service. 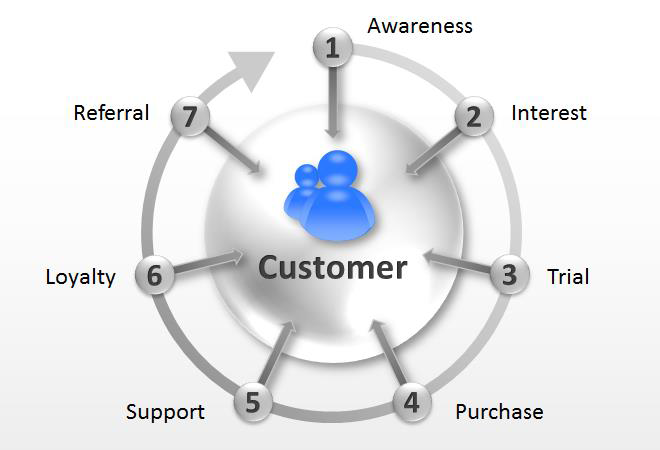 And how about the Buyers Awareness cycle, which is how long they are in the decision-making process. These are things that we study on a regular basis and I wanted to share some of them with you! Some I’m sure you will think are normal and some may surprise you! This plays right into what I always say…people don’t buy things because of advertising…they buy things because they have a need for them. Buyers Awareness Cycle or the pre-purchase experience. The definition of the Buyers Awareness Cycle is the collection of brand touch-points and processes that significantly influence whether a prospect will place your brand into his or her final purchase consideration set on the way to making the actual purchase. This is the time that the consumer is thinking about making the purchase (thought mode), or when the switch goes off in the consumers head before they actually walk into the showroom or make the call for the service or product listed. The Buyers Awareness Cycle does not take into consideration once they get in the store to actually purchase the product or sign up for the service. All figures are based on averages and will vary depending on seasonality of the business and location of store/business in North America. These are North American statistics only.